Finding continuous support following your pregnancy or infant loss can be difficult. Often, we cannot say the words or talk about our experiences without bursting into uncontrollable tears. You may be feeling lost and alone. I am a pregnancy loss mentor. This 12-week therapeutic mentorship program is a wonderful and easy way to gain the support you need to navigate through your loss. Anyone is eligible no matter what gestation or reason for the loss. You will receive compassionate and loving support from a professional. The program is easy to start and is low-cost (suggested donation is $35 but is not required). 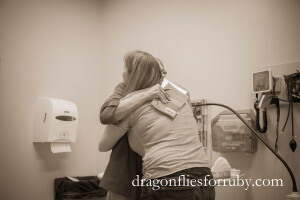 Any funds received is put back into Dragonflies For Ruby which is a charity ministry. respect for the once a week contact, and not to over-use this resource or the mentor. respect for privacy and space, and not to demand any more information from the mentor/mentee than he or she is willing to share. respect for time, and not to contact in a way that is disruptive to the other person’s life/lifestyle. respect for the duration of the mentorship program, and not to demand, beg, insist or pressure for additional time. respect for the emotional limitations of the mentor, and understanding that he or she is not a licensed therapist and that more intensive support may be needed for your grief process. The mentor is not liable to perform or behave as a psychological professional, and he or she may suggest that you seek additional support if they believe it could prove useful. respect for differences between the mentor and mentee. Your mentor/mentee may have different beliefs than you, including but not limited to religion, faith, family, death, life after death, reasons for death. It is not a program requirement that you both align in every way, but both the mentor and the mentee reserve the right to terminate the relationship if these values/beliefs differences serve to be unproductive. respect for your self, and understanding that any threats to harm yourself or others is reason for the mentor to refer you to crisis hotlines and your local mental professionals for support. If this sounds like the support you need, contact me here to begin the 12-week therapeutic mentorship program.